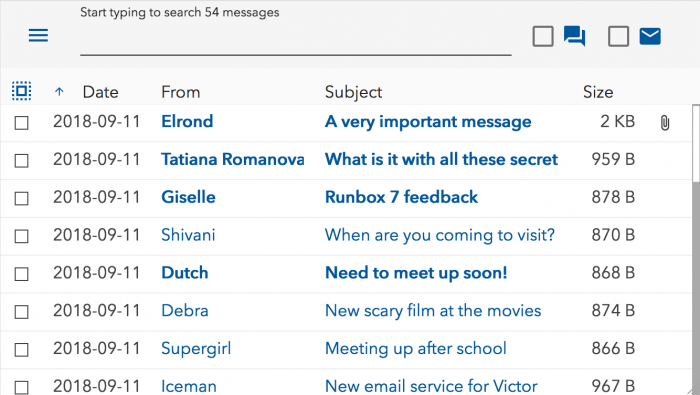 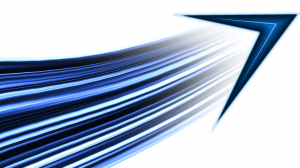 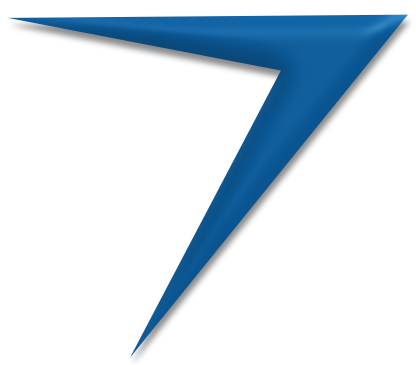 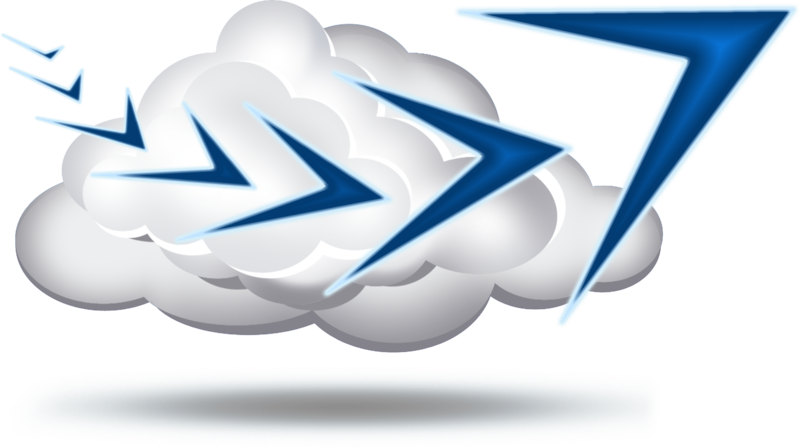 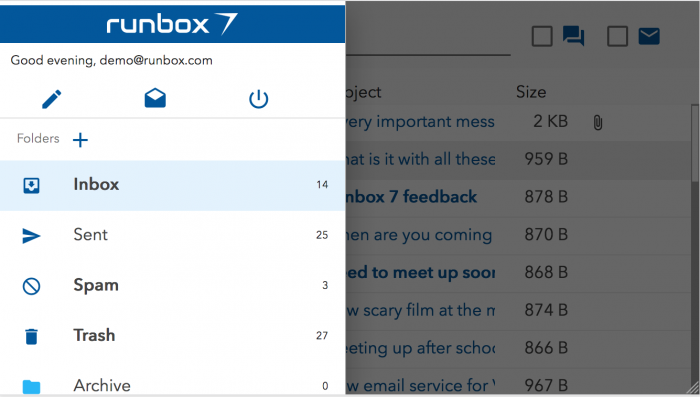 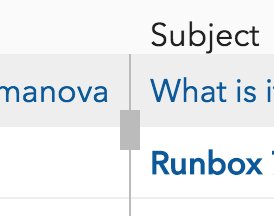 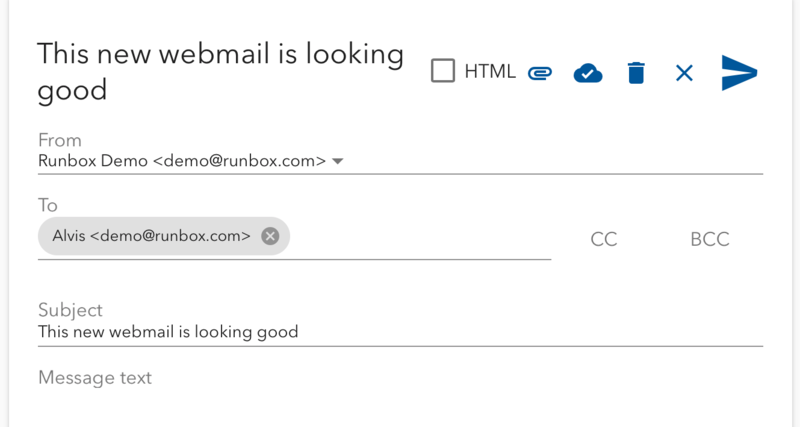 The Runbox 7 Webmail beta test is progressing quickly and the new webmail app has been updated with many new features since our previous blog post. 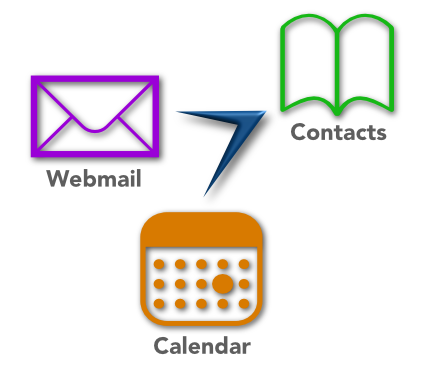 If you are an existing beta tester and haven’t checked in for a while, we encourage you to do so now! If you haven’t joined the beta test it’s still possible to participate — just send an email to support@nullrunbox.com with the subject “Runbox 7 Webmail beta test”. 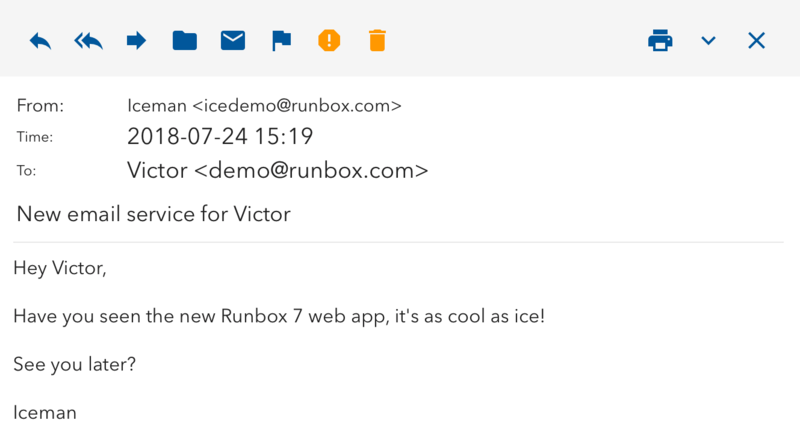 We are working hard to improve the Runbox 7 Webmail further, and appreciate your help in making it the fastest webmail app on the planet! 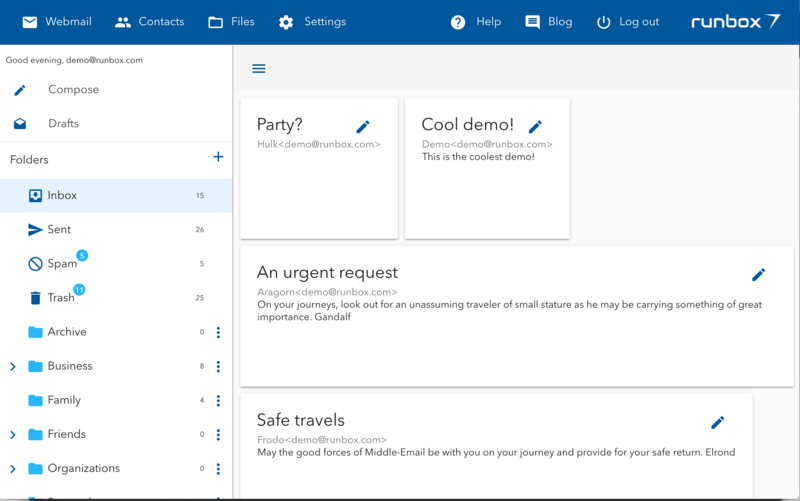 Check out the screenshots below to see some of the new features. 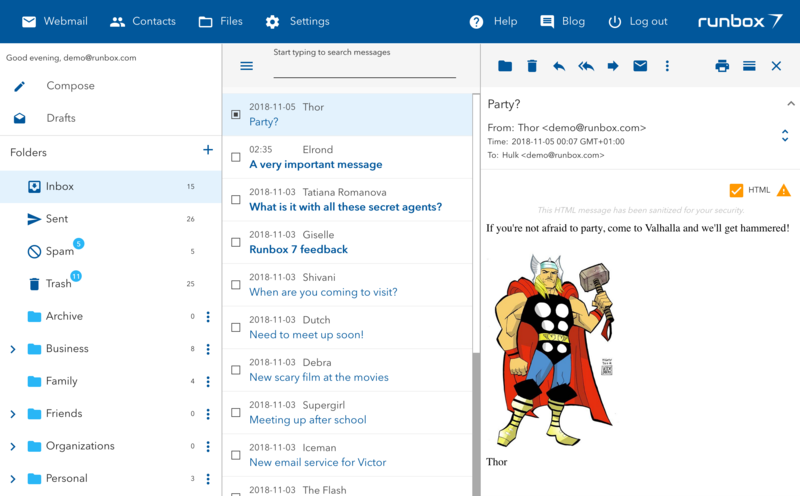 The webmail has been updated with more colors and a new font face for improved legibility. 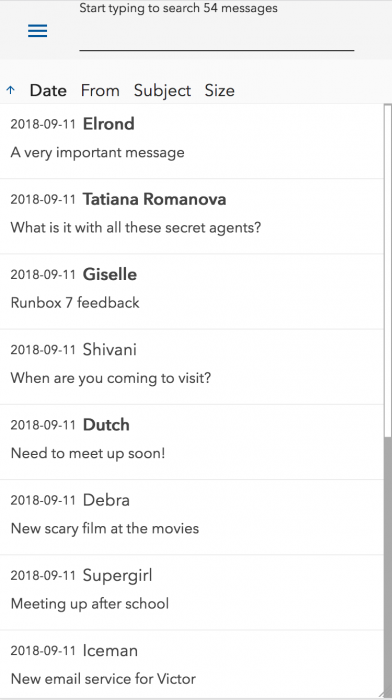 You can now preview messages either in a horizontal pane beneath the message list, or to the right of the message list as shown below. 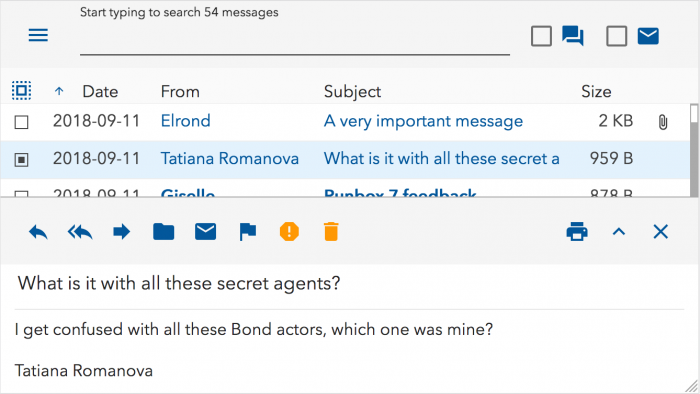 Easily switch between horizontal (2-pane) and vertical (3-pane) message preview with these buttons in the message toolbar. 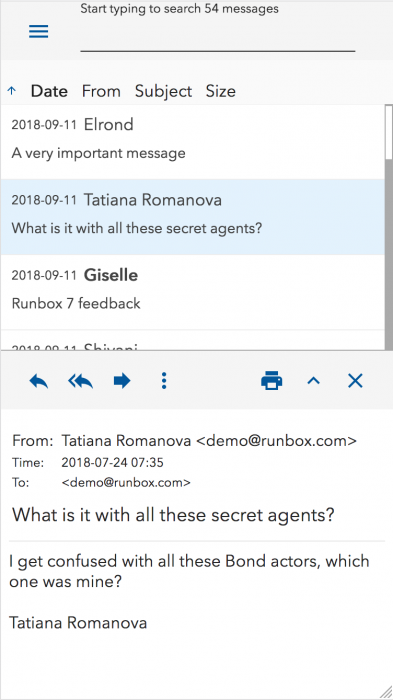 There is now a fully featured message toolbar including Reply, Reply all, Forward, Move to folder, Mark read, Mark flagged, Report as spam, and Move to Trash. 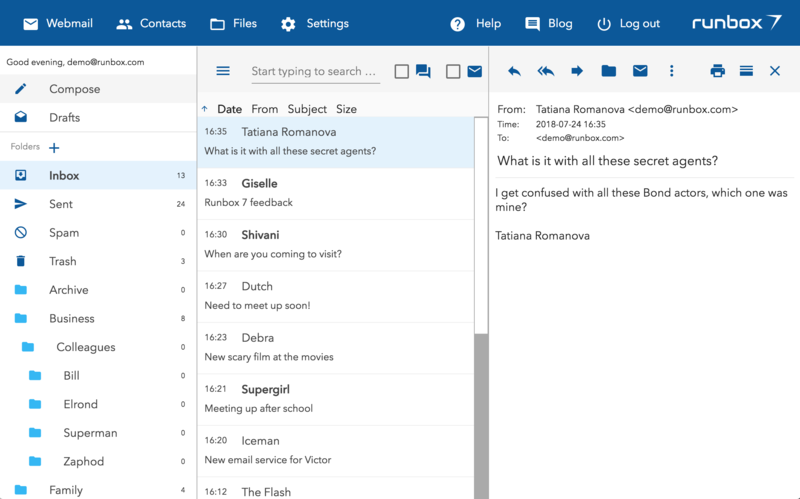 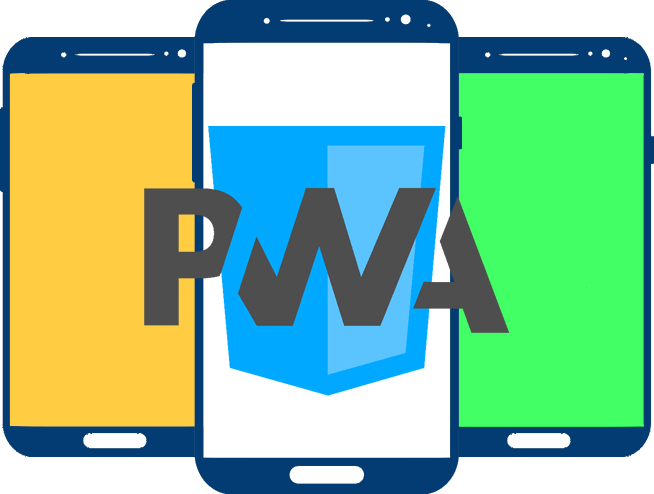 On the right hand side you will find message view buttons such as Print, Vertical/Horizontal preview, Full height, and Close. 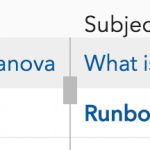 You can now easily adjust both the folder pane width and the message list column widths by using the sliders as shown. 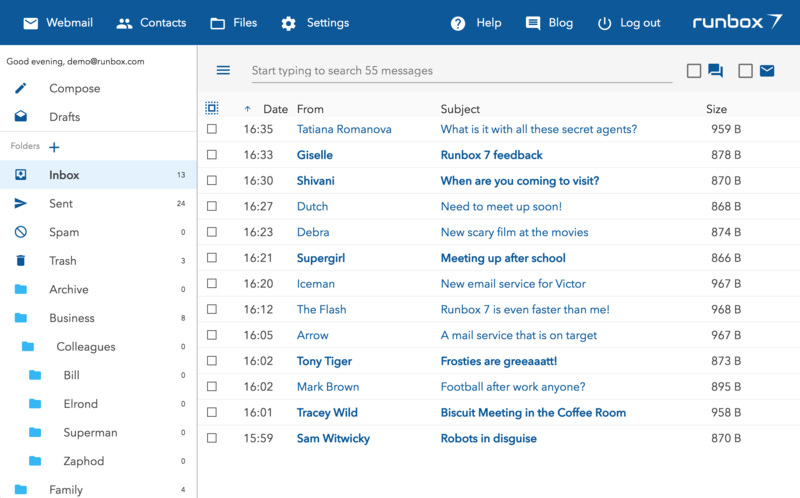 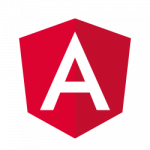 Otherwise the webmail will automatically adjust the column widths to show as much content as possible.